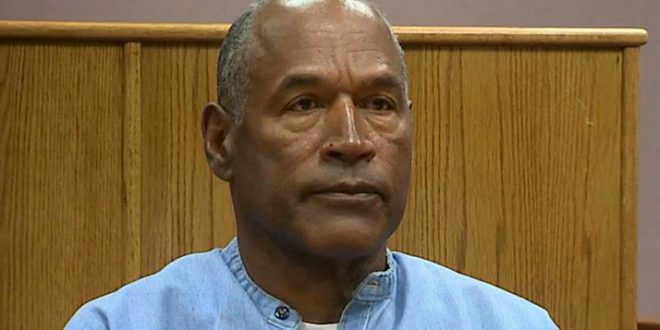 BREAKING: OJ Simpson Granted Parole - Joe.My.God. The Hall of Famer reacted emotionally and with a smile as each of the four delivered their votes on whether he should be freed after serving nearly nine years of a nine-to-33-year sentence for 12 convictions, including kidnapping and armed robbery, stemming from a 2007 sting operation in which he tried to recover sports memorabilia from two collectors. Simpson mouthed the words “thank you” as he stood and returned to his cell, where he will remain until fall.